Okay! Tabs! Let's do this! 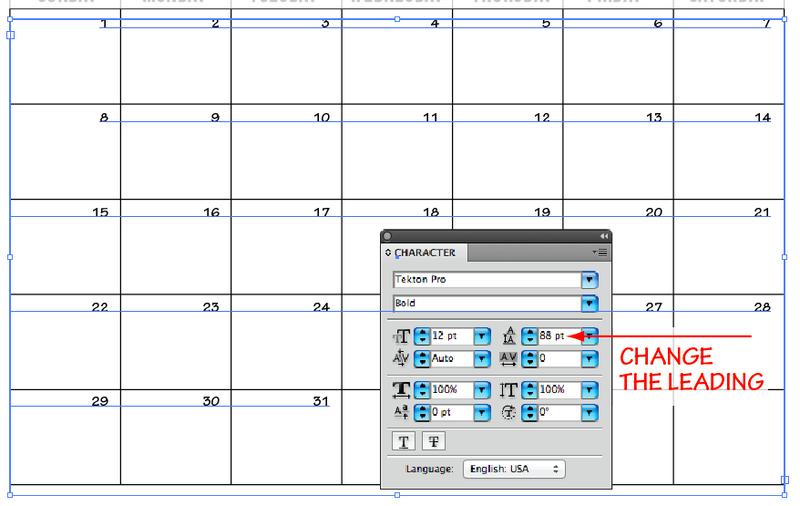 Using your Text / Type Tool (T), Click on the left 1/2 " margin above the page. "Tab" THURSDAY, "Tab" FRIDAY and "Tab" SATURDAY. Make this Type about 18 point, if the word WEDNESDAY doesn't fit reduce the text to 16 point, look at 14 point - you see what works best for you. of the grid you made. Select your type using the Selection Tool. And type Control/Shift "T" for "Tabs". TABS menu to the right - far enough over to the right so you can see the 10 inch measurement line"
try the FR Tab. You decide what works best for you and your design. Put a Tab arrow over each word. The final result is shown in the picture below. 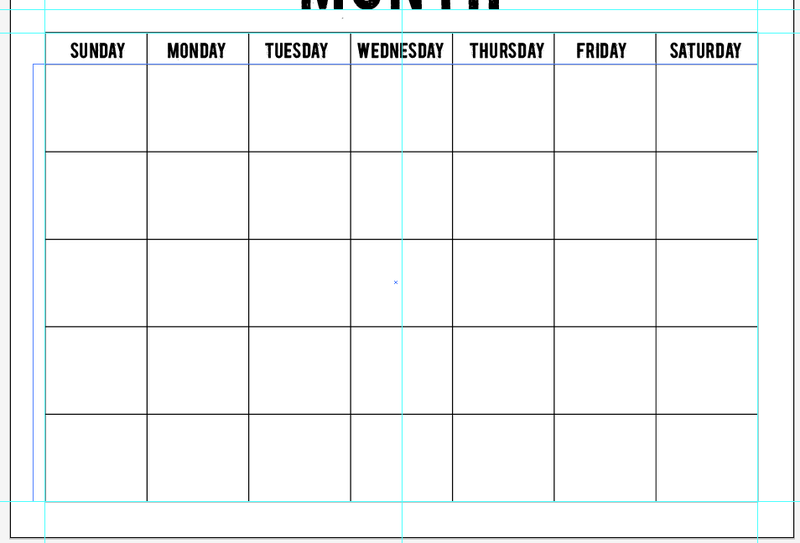 Make a Text Box (yes, make a text box) the size of the grid. tool. You need to start the text box outside of the grid on the left. 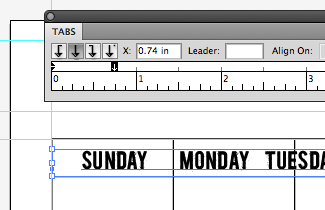 to line up the left side of the text box with the grid. 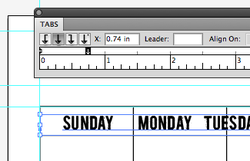 Start typing your numbers, under SUNDAY*, start with "TAB" 1, tab 2, tab 3, tab 4 and so on. tab 8, tab 9, tab 10 and so on. You always start the row with Tab. See the picture below for clarification. *Start under the SUNDAY even though that month doesn't start on SUNDAY. 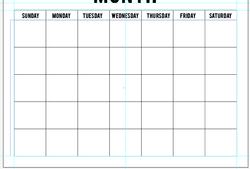 This is the "MASTER GRID" and you'll have your Tabs set for all the other grids here. 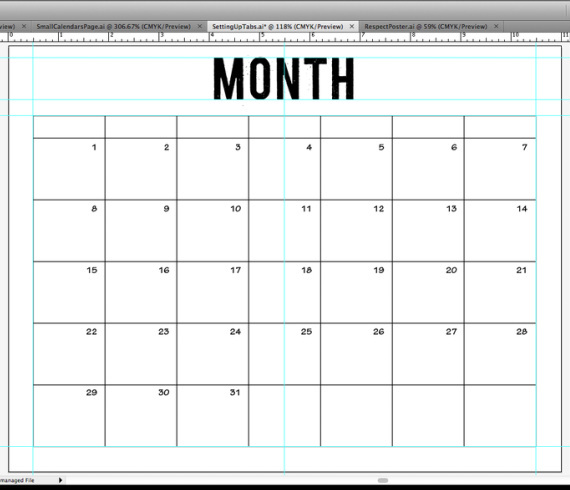 You'll notice the picture above shows I've made the numbers Flush Right (FR) and the type size is 12 point. Now you'll change the "Leading" - the space from the bottom of the type above to the top of the type below. 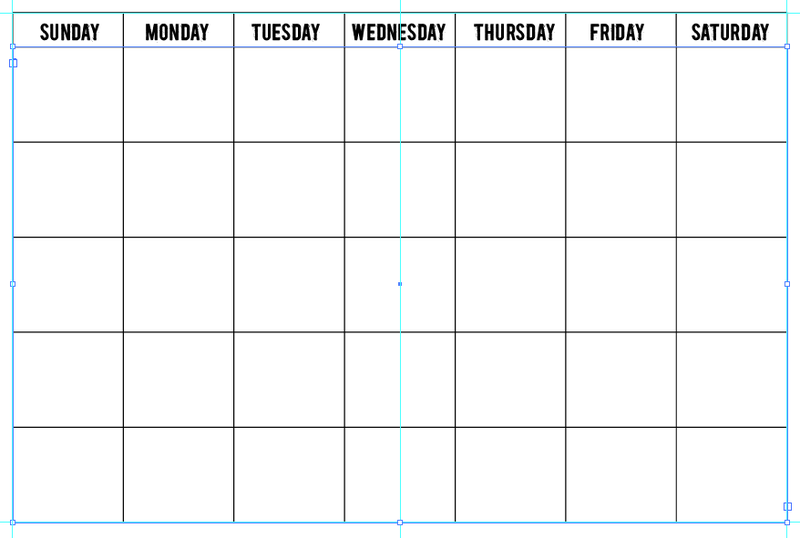 to be consistently spaced and placed in the upper right hand corner of each grid space. The leading setting accomplishes that fairly well. Please ask me any questions any time: during class or via e mail at ms.babkie@msbabkiesclass.com. Also, please tell me if there any mistakes or areas that are unclear or confusing. Based on your input, we make these tutorials better for all who come along after you. Thank you so much for your hard work and help.